The Evergreen State College Copy Center is a full service department located inside the Greener Bookstore (2nd floor CAB.) The Copy Center is open to staff, faculty, students and members of the outside community. Contact us to learn how we can help you with your printing needs. We offer a variety of options for your projects. 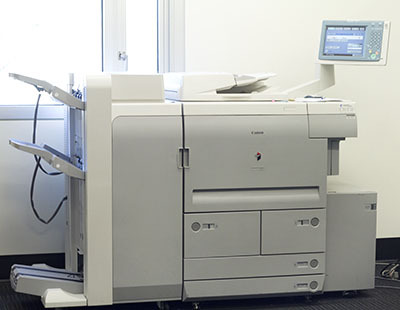 Our most economical printing option. We carry a wide variety of paper types and colors for any occasion. Whether you're wanting to print class handouts or create an eye-catching flier, we have the paper you need. You can see a swatch book of our paper samples anytime you walk up to the Copy Center counter. Our paper is available in either bond (regular weight) or cardstock. Up to 11 x 17"
The Greener Bookstore is wholly owned and operated by The Evergreen State College since 1971. All proceeds directly support student services, facilities, and programming.